NOLAN ANDERSON (DUDE) NORTHCUTT, age 100, passed away at his home in Woodbury on June 2, 2014. He is survived by his three children, Ann Deloris (John) McBride, Janice Faye (Britt) Knox, Richard Anderson Northcutt, and foster daughter, Wilma Jo Melton, all of Woodbury; sister, Hazel Elmore, of Huntsville, Alabama; five grandchildren, seven great-grandchildren, and many nieces, nephews, and friends. He also leaves behind four devoted caregivers: Amy Taylor, Judy Mooneyham, Carol Davis, and Linda McNeese. He was the great-great-grandson of Francis Northcutt, a Revolutionary War soldier who lived in Cannon County at the time of its formation. Nolan Anderson Northcutt was also preceded in death by his parents, Lee Watson and Angie Ann Jennings Northcutt; his wife of 61 years, Annie Lefevers Northcutt; brother, Norman Lee Northcutt, and sister, Eunice Belle Fowler. Nolan Anderson (Dude) Northcutt was born in Huntsville, Alabama and, at age 10, moved to Woodbury following the death of his parents. He lived with his uncle, Selmer Mason Jennings, and family until 1929. After working as the first mechanic of the newly formed Cannon County Highway Department, he bought the Sudden Service Station in Woodbury in 1937 and began the business that would become known as Northcutt Motor Company. He retired in 1992 to devote more of his time and energy to public service. 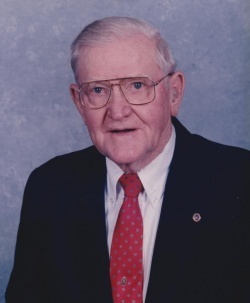 Possessing a fierce sense of civic involvement, he was a founding member of the Woodbury Volunteer Fire Department in 1936, served eight years on the Woodbury City Council, and was elected to the Cannon County School Board, two years as chair. He was Mayor of Woodbury from 1967-1977 and County Executive from 1982-86. He joined the Lions Club in 1949 and remained active until his death. He served as president of the club and was named a Melvin Jones Fellow in 1989, the Lions’ highest honor. He was also the recipient of the Lions International President’s Award. He served on and chaired many boards including the Upper Cumberland Development District, the UCDD Community Health Agency, and the Stones River Hospital, among others. He was a member of the Woodbury Church of Christ.